I hope you wouldn’t jump right out of your seat if I told you that I’ve been dying my hair using DIY hair dyes bought at the drugstores since I was 15. That was how much I am into looking trendy and fashionable with light-coloured hair that matches my fair skin tone better than the jet black hair I was born with. Back then, I was young. And when you are young, you will not think so much of the long-term effects of those chemical-laden permanent or temporary hair dyes on your scalp or tresses. My scalp was healthier back then the hair loss wasn’t really a problem till now. It does sometimes gets you off your seat when you witness how much hair strands has been dislodged from your weakening scalp. I couldn’t stop whining and moaning songs of regrets ever since. And ever since I was into this eco-friendly and healthy living of going au naturel (whenever possible), I was contemplating if I should stop dying my hair and start letting my natural jet black hair to grow back. Looking at my damaging scalp, I decided to stop using those DIY hair dyes for almost 10 months and start using organic shampoos and conditioner, hoping that my once-damaged scalp would heal naturally over time. But my chemically-treated hair looks rather unpleasant (as shown in the photo below) with streaks of washed-off light brown dyes. And I wanted a more even hair colour so I went to do my research on natural hair dyes. And that was where I discovered about henna hair dyes and organic hair dyes. Henna seems more natural but the problem is the colours are limited and it washes out easily. Organic hair dyes thus seem more like a better option for me. 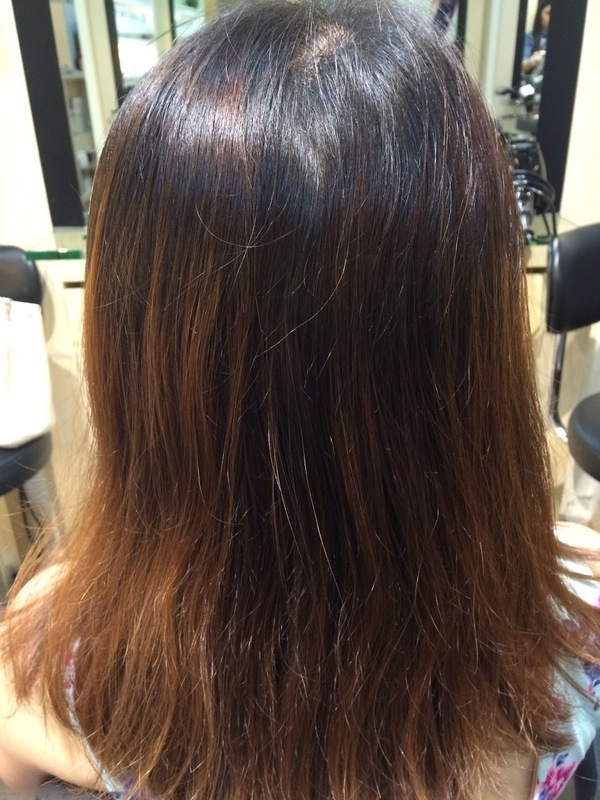 Surprisingly, there were a few salons in Singapore which were offering organic hair coloring services like Koinonia Salon at Pacific Plaza. 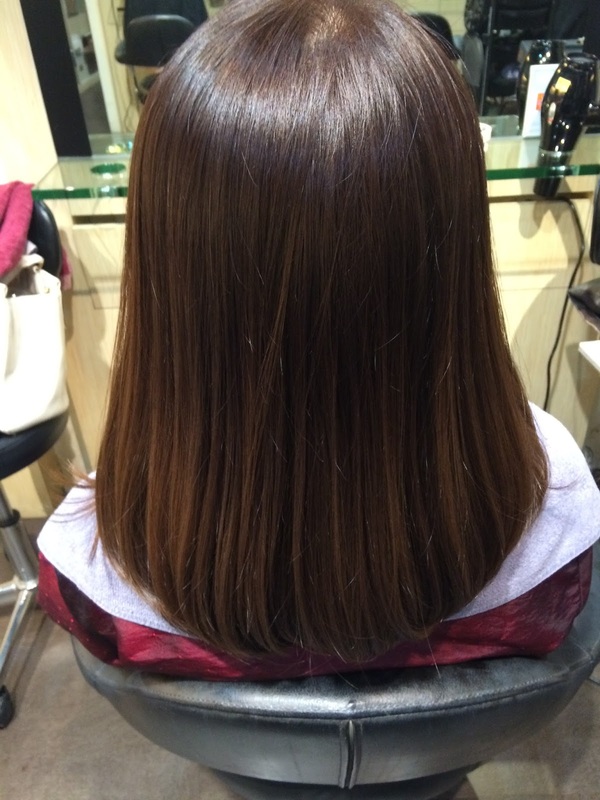 I tried their organic hair coloring a few days back and I was in love with it! I sat down with Cynthia, the creative director of Koinonia, to decide a suitable hair colour for me. The available hair colour shades weren’t many and the colours were dark but it has those basic hair color tones like shades of brown. I decided to go for brown since it is my all-time favourite hair colour that complements my skin tone. This organic hair colouring is great for grey hair coverage and it is even safe for children and pregnant women. 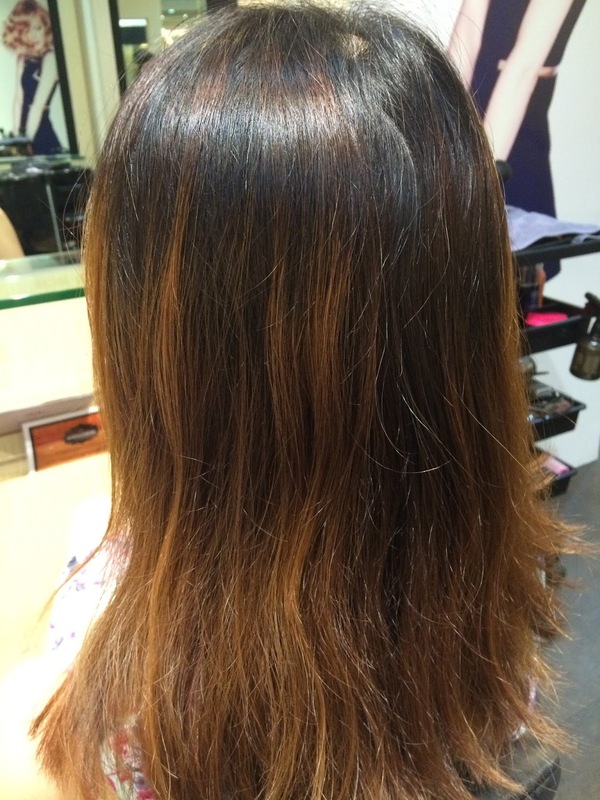 The organic hair coloring process differs slightly from the typical hair coloring process. 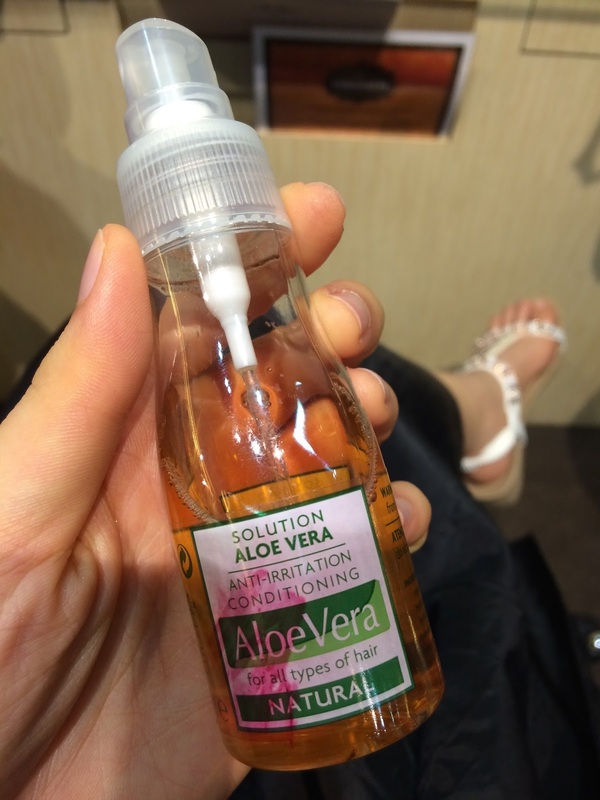 My scalp was layered with Aloe Vera spray which will protect my scalp and at the same time conditioning it. 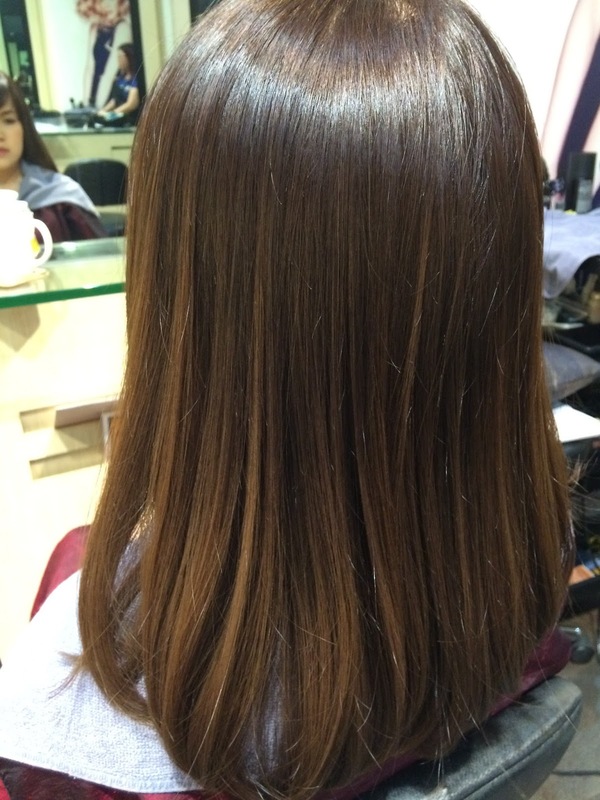 Also, the organic hair coloring process takes a little longer than the usual hair coloring treatment. Since the organic hair dyes are made mostly of natural ingredients like plant oils, the dye itself smells quite pleasant. It doesn’t contain any harmful chemicals like ammonia and other synthetic chemicals which cause that stinging sensation or itchiness in your scalp. On the other hand, organic hair dyes are milder in nature and when it is in contact with my scalp, there wasn’t any discomfort or itchiness. This could work for those with sensitive scalp! 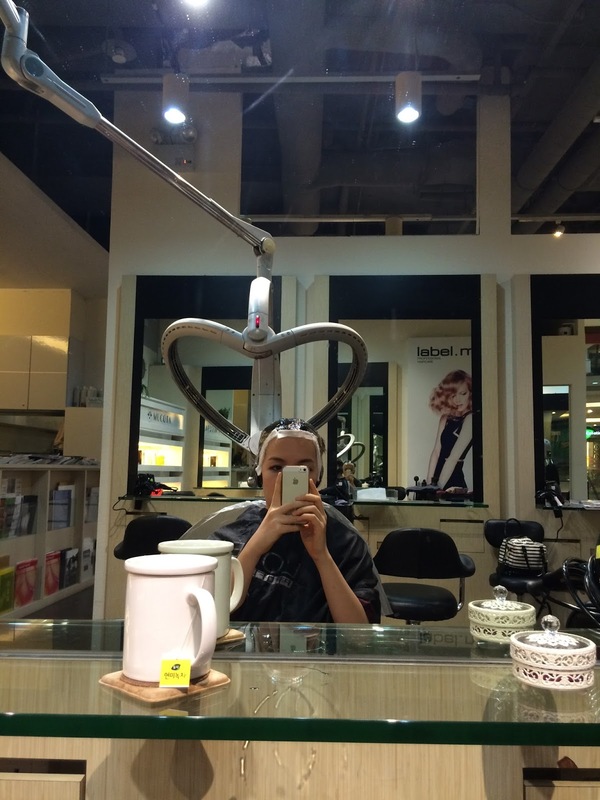 There’s also a 10-minute scalp treatment after the coloring process to further condition the scalp. Taa-dah! 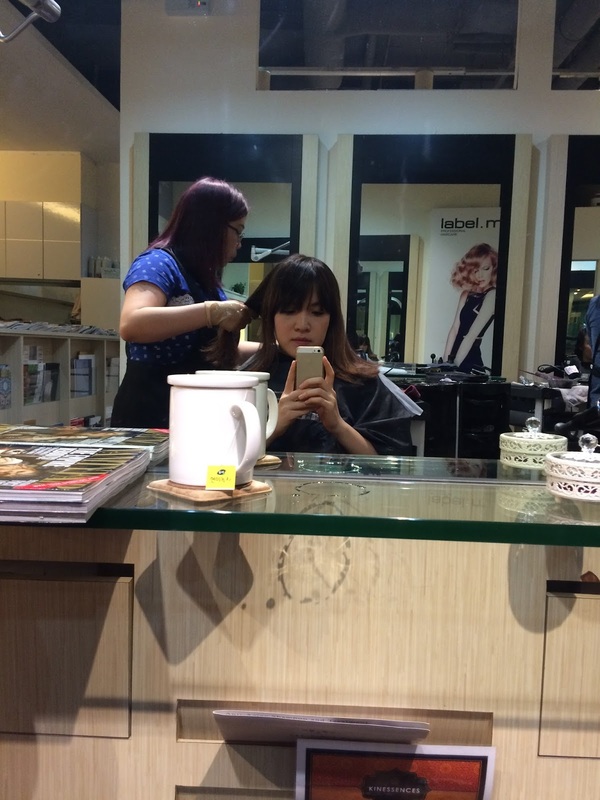 After almost an hour and half of treatment, my hair is ready to shine under the sun. The color turns out really beautiful and it even as a nice glossy sheen to it. It must be all those nourishing nut oils in the organic hair dye that not only nourishes and moisturize the hair but it also add a shine to my tresses. I’m a happy girl and I probably won’t be going back with those chemical-laden hair dyes. I reckon organic hair dyes would be more widely used in the future too. Many thanks to InTheLoop and Koinonia for this invitation.